Safety is an investment. No cure beats prevention. We all remember riding our bikes all over creation in the “good ol’ days.” A bicycle was, and still is, a child’s idea of freedom. Who didn’t explore our little world on two wheels, and how many of us wore helmets or safety gear of any kind? Many of us remember the days of riding in the backs of pickup trucks and bouncing all over the backseat without child car seats. Times have changed. Our world moves at a much faster pace, and drivers are less likely to watch for children on the roads with their ever-present smartphones and other distractions. Everyone is in a rush to get where they need to go, and there are far more vehicles on the roads. Our children’s safety is a top priority in our lives, and we owe it to ourselves to make sure they can play and explore their world safely. The Traumatic Brain Injury/Spinal Cord Injury Trust Fund program (TBI/SCI), a division of the Mississippi Department of Rehabilitation Services (MDRS), is helping ensure children’s safety through preventing injuries instead of treating them after the fact. 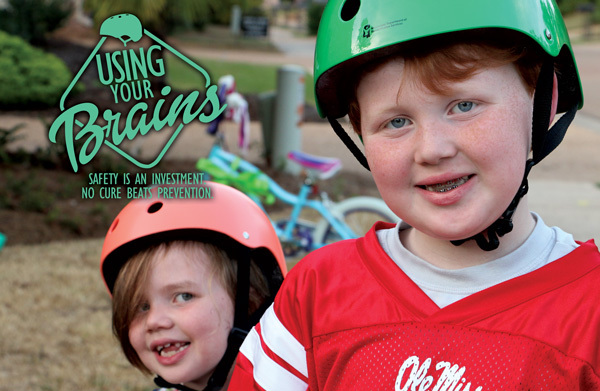 Their Use Your BRAIN program, administered by Allison Lowther, provides free bicycle helmets in elementary schools to encourage safety for bicyclists, skateboarders, and other children who participate in potentially dangerous activities. The group contacts schools to offer an assembly discussing safety issues, followed by the distribution of helmets. Young students are thrilled to have someone take their play seriously, and to get a brand-new helmet to wear. The trust fund was originated by the state legislature in 1996, and Use Your BRAIN began in 2010. With more than 80,000 helmets already distributed to date, they are well on their way to reaching their goal of providing 100,000 helmets in all areas of the state. “There are still parts of the state we haven’t reached,” Lowther says, but they are actively pursuing relationships with schools they have not yet visited, from the Delta to the Gulf Coast. They speak to groups as large as 1,500, often twice a day. Lowther loves interacting with very young children; “if they grow up wearing a helmet, they’re likely to continue.” She encourages good safety habits early, since younger children haven’t yet stigmatized wearing protective gear at play. “The helmet is part of your uniform,” she says. Who wouldn’t want to wear a cool, colorful uniform to fuel fantasies of going faster and doing more impressive stunts? A child who protects himself or herself while riding is part of a team that will carry good habits into adulthood. Lowther offers a wonderful, simple example of the benefits of safety gear. At some events, she will put a cantaloupe inside one of the free bike helmets and drop it. No harm done. Then she’ll take the melon out and drop it on the floor; it bursts into pieces. The human skull isn’t as delicate as a cantaloupe, but it can sustain serious damage from just one fall. Falls are the number two cause of traumatic brain injury (TBI) behind auto accidents, and they are preventable. The Use Your BRAIN campaign receives funding from fees assessed for DUI arrests and moving violations, putting our tax dollars to work protecting the future. Specifically, according to MDRS’s 2013 Annual Report, “a $25.00 surcharge is collected from every violation of the Mississippi Implied Consent (Driving Under the Influence) Law, and $5.45 from all other moving vehicle violations.” Fines related to the number one cause of brain and spinal trauma, automobile accidents, become an investment in preventing the number two cause, falls, ensuring that safety eventually becomes a habit for all. Use Your BRAIN is subtitled, “Best Routine Against Injury Now.” The word “routine” is key. Safety shouldn’t be controversial or complicated; it should be a routine part of any potentially dangerous activity. Harmless fun can lead to tragedy in seconds. It always pays to be aware of dangers, no matter how small they may seem. 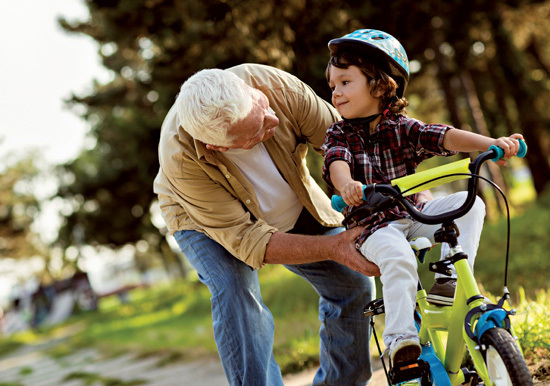 A free helmet is a simple gift that can save a life, as safety becomes as normal as getting on a bicycle or a scooter and going off for a ride. 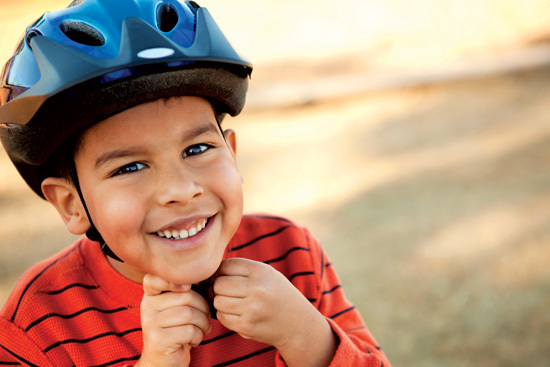 TBI/SCI provides helmets to kids at no cost; there are no requirements for receiving one, and no obligation. Part of the TBI/SCI’s mission is education and prevention, so who better than a group dedicated to researching and treating brain and spinal injuries to share common-sense methods of avoiding those injuries? Use Your BRAIN promotes awareness of the dangers all around us as we have fun in a fun way. It’s not paranoia, but simple mindfulness. Parents benefit from the program as well; it’s easy to assume our children will be safe and careful, but it only takes one moment’s forgetfulness to bring on a disastrous, permanent injury. If we make our children’s safety a priority, we are likely to consider our own safety when we’re out having fun. A safe family is a sound family, with many years to spend having fun being together. Our children can’t explore the world around them as easily as we could in the 1970s and ‘80s, but they can still taste a bit of freedom. With a helmet and other protective gear, they can not only guarantee their adventures will be safer, but they can also venture out wearing a uniform like our heroes do, ready for any accidents that may occur. Invest a few minutes in keeping your children safe, and Use Your BRAIN will match that investment with a piece of equipment that will more than pay for itself. For more information on the Use Your BRAIN program, or to inquire about a visit to a local school, contact Allison Lowther at alowther@mdrs.ms.gov.